Hanes Beefy-T Preshrunk, 100% Cotton. Men's cut. 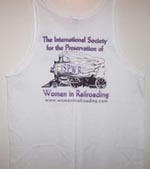 Large ISPWR logo on back and small ISPWR logo on the front.